Anyone who has lived in one place for over 5 years knows that it’s difficult to keep the clutter down. Things pile up even more if you have a large family, and you may not have enough storage space to keep everything out of sight. 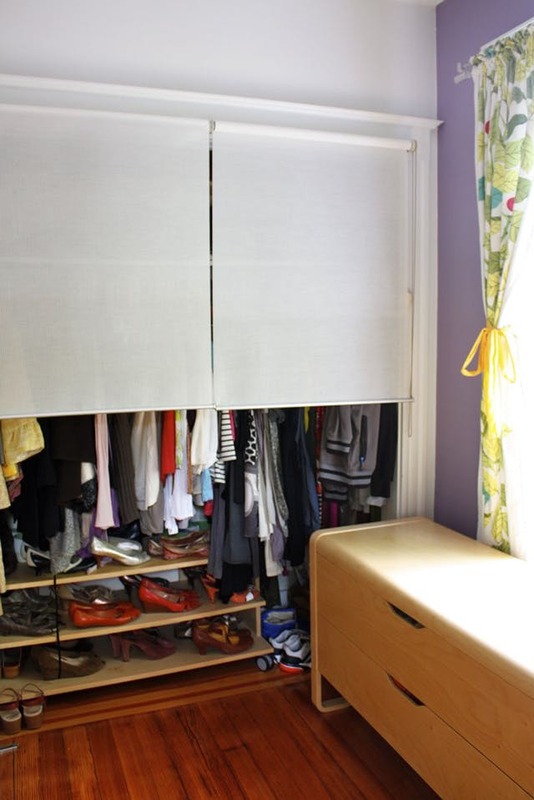 If you have a lot of things and want a shortcut on how you can keep them tucked away in a corner and out of sight, here are some truly useful ideas. These suggestions will also come in handy if you want to hide anything that is considered unsightly, including exposed pipes and wires. Don’t waste the extra space under your bed by getting some wicker baskets and piling your extra items into these baskets. Baskets made from natural materials like rattan or bamboo look more natural and are a lot nicer to look at compared to those made of plastic. If you do choose to go with plastic baskets, make sure they fit in with the overall color scheme of your bedroom. Alternatively, you can conceal these baskets with your bedding and don’t have to worry what they look like. 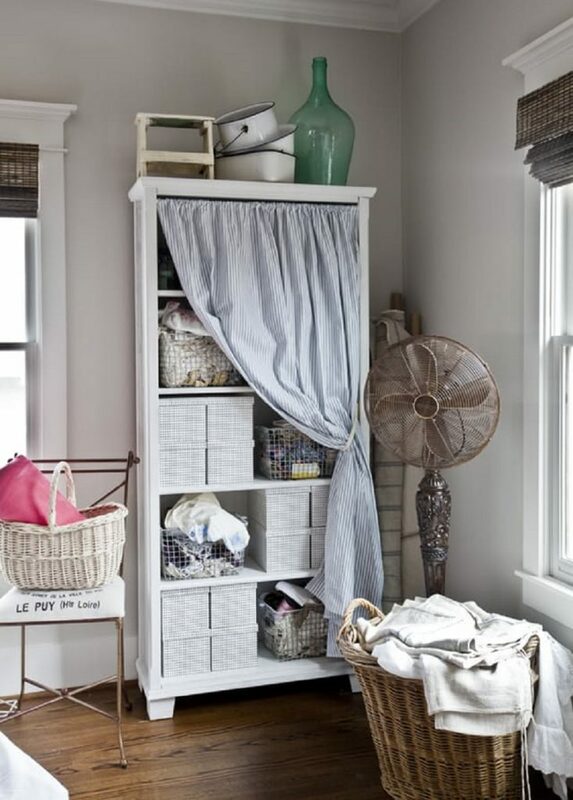 Curtains are an ideal way to keep a shelf of little odds and ends away from prying eyes. They also make the area neater. You can stuff all your little things behind this curtain and won’t have to worry whether or not it looks unpleasant. If curtains aren’t your thing, then you can always put some roller shades over your storage shelves. This creates cleaner lines and makes things look more formal and neutral, as opposed to the softer and flowing lines of curtains made with various fabrics. You can roll them up halfway for a classy effect and let them down again when the guests arrive. These useful and practical shades can be pulled aside, and you can use tension rods and make these covers yourself using leftover fabrics. Customize them to fit each little cubby hole in your bookcase or shelves and even create patterns with the fabric for a unique and one of a kind piece of storage in your home. The underside of tables can definitely be used as storage spaces, and all you have to do is introduce some skirting around it, either by stringing some rods or ropes across or via the help of some Velcro. 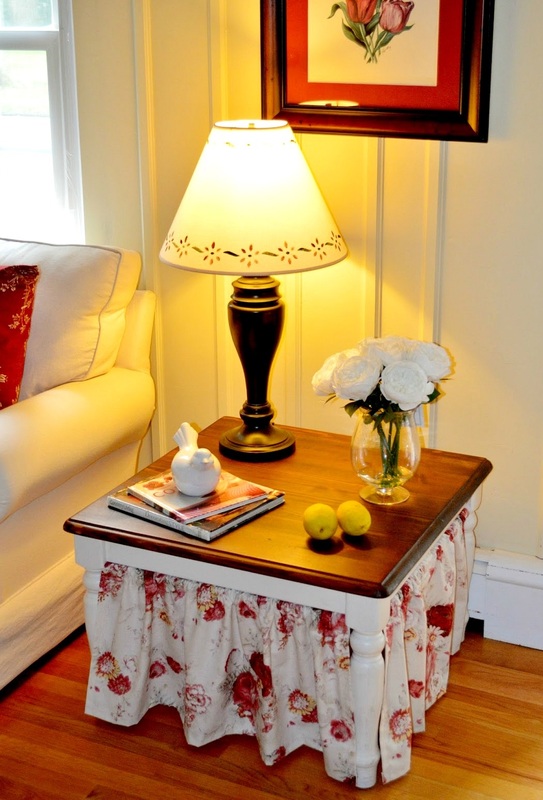 Skirtings are a homely addition to any table and turns it into something more cozy and welcoming. Of course, these clutter-concealing tips are for instances when you just can’t find the time to clean and clear your possessions up. If you need some help in clearing and cleaning your home, our professional cleaners are always here to help you get the job done on time.